Bob Doyle and FOREVER BETTER GOLF INC. (FBGI) are pleased to announce that Michael Midgette has joined FBGI as its Director of Instruction. Michael is a PGA Class A Instructor, Certified in Teaching and Coaching. Michael will offer both his online swing analysis service and live instruction to help golfers improve their swings. 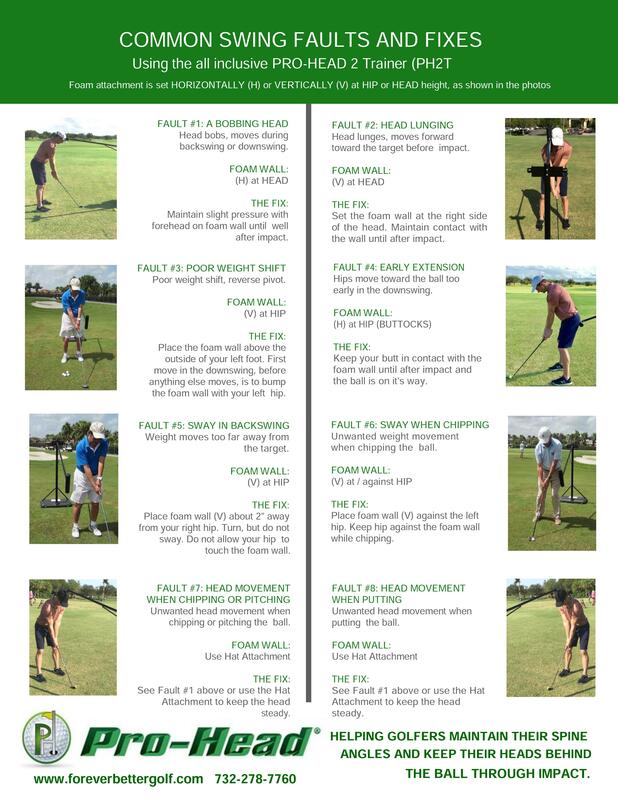 FBGI launched its all-inclusive PRO-HEAD 2 Trainer in Dec. 2016 to help golfers maintain their spine angles and keep their heads behind the ball through impact. Jupiter, FL. Bob Doyle, President of FOREVER BETTER GOLF INC. (FBGI) is pleased to announce that Michael Midgette has joined FBGI as its Director of Instruction. FBGI has been manufacturing and marketing their patented PRO-HEAD Trainer since 2011. Midgette became a member of the PGA in 2011. He is a PGA Class A Instructor, Certified in Teaching and Coaching. Michael was born and brought up on Long Island, NY. He won many times in the Junior MetPGA Section Tournaments and won the LI PubLinks Tournament in 2008 at Bethpage Black. After HS, Michael attended Coastal Carolina University’s Professional Golf Management Program. Then he took a year off to become a first team All-American with Nassau Community College, finishing an individual fourth at the NJCAA Nationals in 2009. Turning PRO in 2011, Michael has won 4 times on the Minor League Tour in South Florida. His most recent win was in Nov. 2017. Teaching has become as big a passion with Michael as playing. 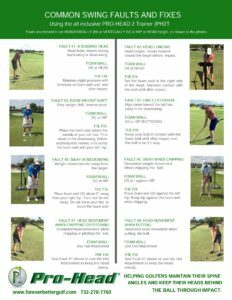 He saw the PRO-HEAD 2 Trainer (PH2T) at FBGI’s distributor, GOLF TRAINING AIDS, in Boca Raton and immediately saw its usefulness as an all-inclusive, full swing training aid. In addition to his golf expertise, Michael has become quite competent with Digital Marketing. He has an Online Golf Academy at Gogolfonline.com and a platform at SelfiegolfUSA. As Director of Instruction for FBGI, Michael will offer both his online swing analysis service and live instruction to help golfers improve their swings and lower their scores. FBGI was founded in 2010 to bring its patented PRO-HEAD TRAINER to golfers, to help them maintain their spine angles and keep their heads behind the ball through impact. The original model, introduced at the PGA Merchandise Show in 2011, completely sold out its initial inventory. Endorsed and encouraged by Martin Hall and Lou Guzzi, both PGA National Teachers of the Year, FBGI launched the new, improved and all-inclusive PH2T in December 2016. 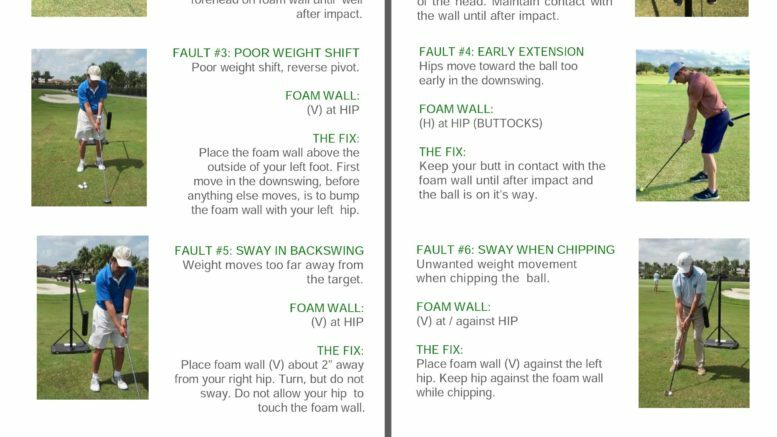 The PH2T can help fix six common swing faults with tactile feedback. Company Name: FOREVER BETTER GOLF INC.
Be the first to comment on "PGA MEMBER MICHAEL MIDGETTE JOINS FOREVER BETTER GOLF INC. AS DIRECTOR OF INSTRUCTION"